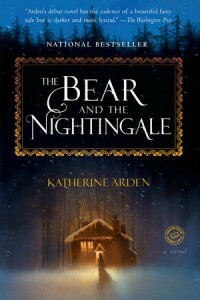 The Bear and the Nightingale by Katherine Arden is the first book in the Winternight Trilogy. 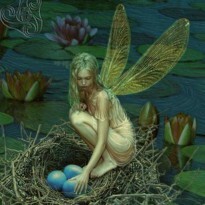 This story is based on a Russian fairy tale called Father Frost. This version of the tale is about a frost king who is after a girl named Vasilisa. Plot 5/5: I have never heard any Russian fairy tales, so this was quite the treat. Characters 5/5: The characters are interesting. I loved learning some of the ways of the Russian people and their folklore and beliefs. World building 5/5: The descriptions of the village had me feeling the harsh winters and the expectations of spring in this wonderfully created village world. Pacing 4/5 The pacing was steady and a bit slow, but Arden kept me rapt in the story. Writing 5/5: The writing is beautiful and lyrical. This was a fabulous story and I cannot wait to read the next installment.